Spencer Costin Suicide Memorial - Suicide.org! Spencer Costin Suicide Memorial - Suicide.org! Spencer Costin Suicide Memorial - Suicide.org! Spencer Costin was an intelligent, cheerful, handsome, talented, strong 19-year-old college student. He showed no warning signs for suicide, and did not exhibit any symptoms for depression. Yet one day in September 2002, he died by suicide. "Spencer always had a happy smile on his face," said Ray Costin, Spencer's father. "Two days before Spencer committed suicide, he was here telling me how great school was going, how his grades were going really good, and he sounded confident about it. There was just no indication at all.believe me, suicide was the farthest from anyone's mind." Spencer was most probably suffering from depression, but did everything that he could to hide his depression from others. Spencer was a very special person. And we need to do everything that we can to help students like Spencer. And that means that we need a suicide prevention program in every one of our schools. We simply do not have enough suicide prevention programs in our schools. Again, every school needs to have a suicide preventio program. And we should be working diligently in our schools, as well as in society as a whole, to eliminate the stigma of suicide and of mental illness. Our students need to be able to reach out for help when they need it. Without fear. Without hesitation. And without concern for stigma. 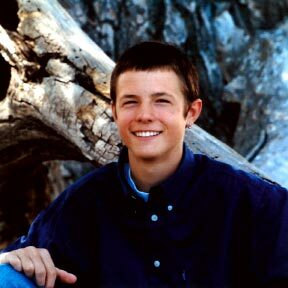 If Spencer had more knowledge about depression and suicide, and knew that he could have reached out for help at school, maybe he would still be alive today. So if your school does not have a suicide prevention program, you should start one immediately. You can get the program right here at Suicide.org - and it is free. Whether you are a student, teacher, parent, or administrator, you should make sure that your school has a suicide prevention program.